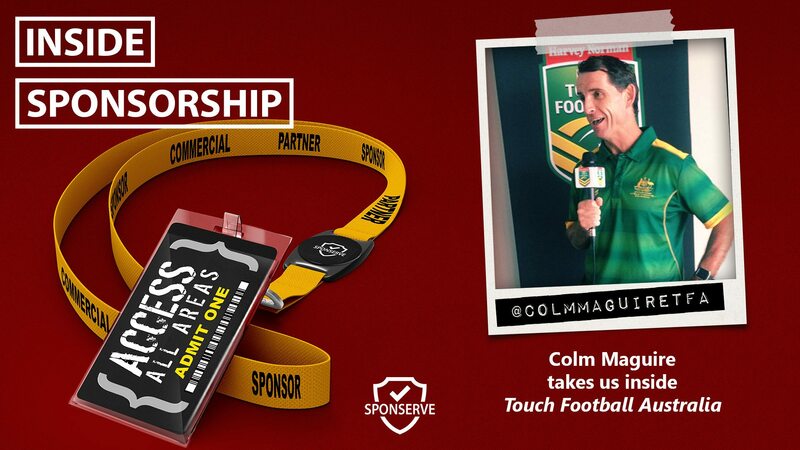 In this Inside Sponsorship episode, we speak with Colm Maguire, CEO at Touch Football Australia. Almost three years ago, Touch Football Australia and the National Rugby League, announced a historic strategic partnership. The two sports now work together as the largest sporting community in the country with a combined participation of approximately 1.9 million people. It is that partnership and how it has affected Touch Football Australia’s commercial program is the focus of my chat with Colm. If you want to connect with Colm, visit www.touchfootball.com.au, connect with him on LinkedIn or follow him on Twitter @ColmMaguireTFA. Also, Mark and I have been discussing for a little a while about the process of bedding down a new sponsor and what advice we can give people to help make the signing of a new sponsor successful. As such, Mark and I discussed his blog which provides a 7 checkpoint roadmap you can follow once you’ve signed a new sponsor.